With Australia Day coming up, we've been thinking about all the things we love about the awesome country we live in. Jesse and I love Australia and truly believe it's one of the best countries in the world. One particular thing I love about the country we call home is how diverse it is. We have beaches and mountains and deserts and rivers and everything in between - but the people who call Australia home are always pretty diverse too. We live in a country that is made up of so many different cultures of people - and one of the big benefits of that multiculturalism is that we have so many choices when it comes to food! When our friends at Chang's got in touch with us asking if we'd be interested in developing some recipes for them for Australia Day, I jumped at the opportunity! You see, Jesse and I love Asian flavours and putting an Asian twist on dishes. There's so much flavour in Asian food - from the salty sweetness that's traditional in Thai cuisine to the aromatic flavour of Chinese cuisine - and Chang's make it easy to get that flavour at home with their extensive range of products. From must-have sauces and noodles to vegetables and over 30 gluten free products, Chang's make it easy to create Authentic Asian food at home and have been bringing the tastes of Asia to Australia since 1968. The company is Australian owned and lead by father daughter team Patrick and Elaine Pow and is an Australian household favourite with the products available in over 500 stores nationwide. 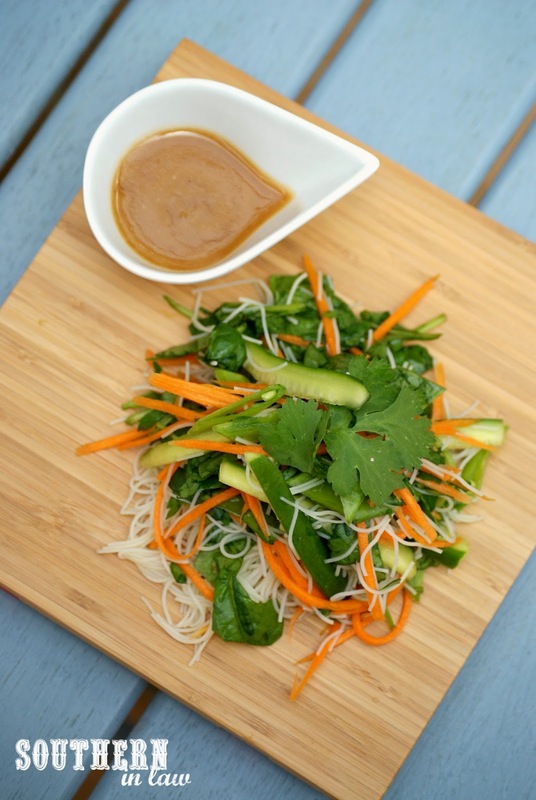 As it's summer time we've been having lots of barbeques with our friends and family and are planning one for Australia Day this Monday, so I thought it was the perfect time to come up with some Asian inspired dishes that are perfect for barbeques. And why not start with one of my favourites? 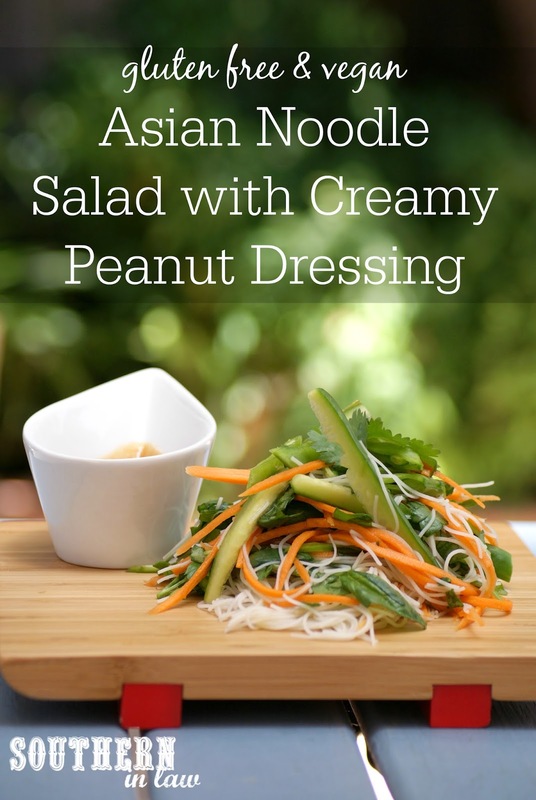 This Asian Noodle Salad with Creamy Peanut Dressing is a SIL family fave and it's so simple to make - not to mention healthy, fresh and delicious! 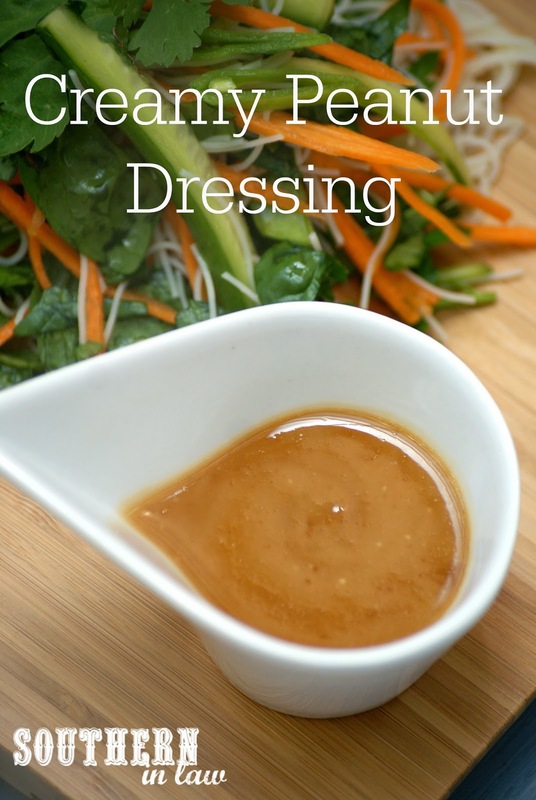 Serve it with the dressing mixed through or keep the dressing on the side for your guests to drizzle as desired. Make it into a meal by adding some grilled marinated chicken or steak or serve with grilled prawns for a super summery dish! Other veggies you might want to use: Feel free to change the vegetables above. We've used thinly sliced capsicum, cabbage, corn, celery etc. There's no rules as to what you can and can't use so use what you love! Cook your noodles and drain according to packet instructions, set aside whilst you prepare all of your other ingredients. 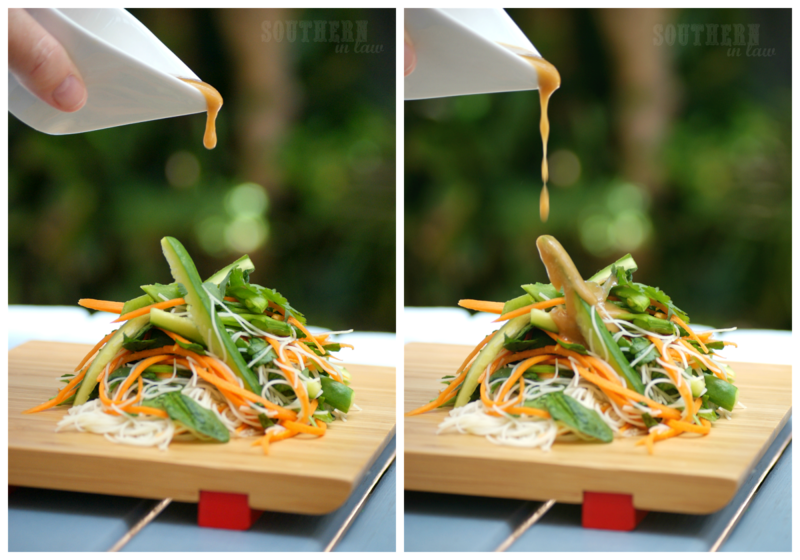 Place into serving dishes to serve with sauce on the side or mix with peanut dressing. In a small saucepan, heat your peanut butter, water, garlic and tamari over a medium high heat, mixing until smooth and combined. You may find the mix seems to separate a little, but just keep stirring and it will come together! Pour your dressing into a serving dish and set aside to cool slightly. 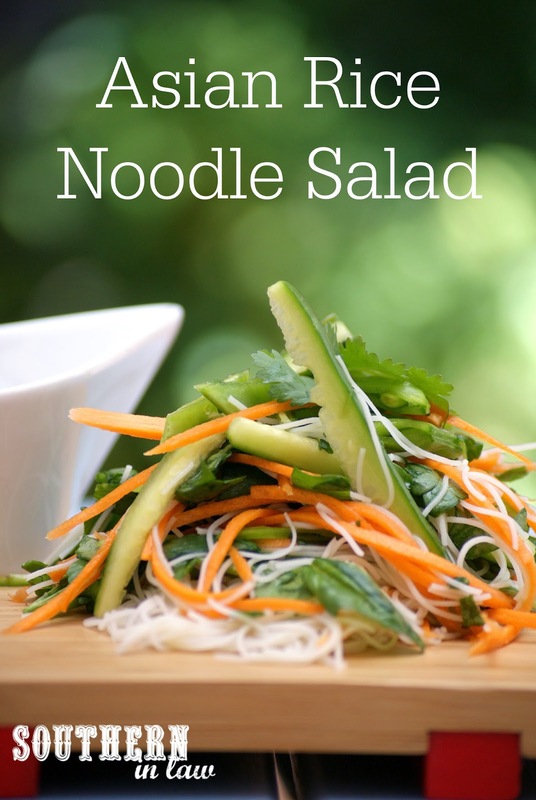 Serve either on the side (so that your guests can add as much or as little as they like) or mixed into your noodle salad! But tell me, what's your favourite dish to serve/bring along to a barbeque? And what's your favourite international cuisine? For me, it's a tie between Asian and Italian cuisines! What an awesome company! Love cooking up my own Asian food! Changs is definitely an awesome company - we love cooking Asian food as well so we're constantly using their products!